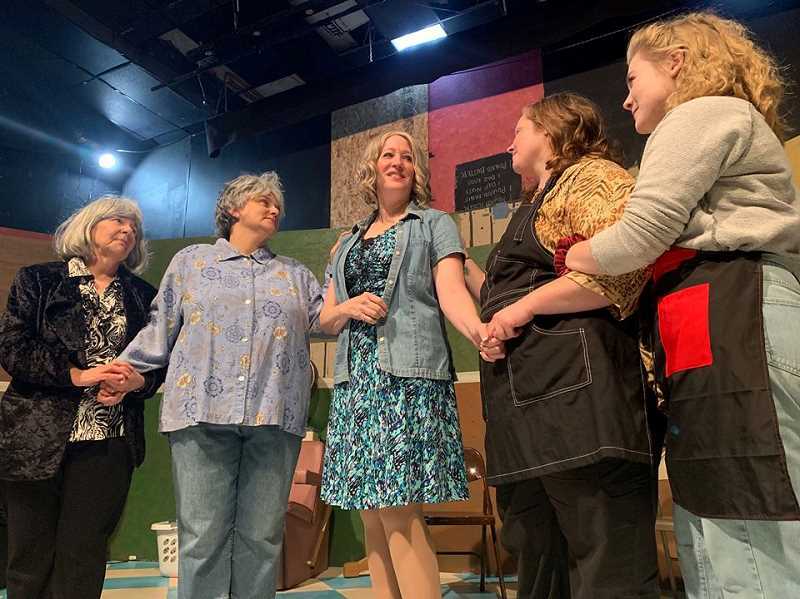 Be prepared, Theatre in the Grove's production of "Steel Magnolias" will bring on the waterworks. Director Jason Weed and the cast members cry every rehearsal, Weed said. "We don't rehearse the last scene more than one two times a week," he said. "It is too hard." 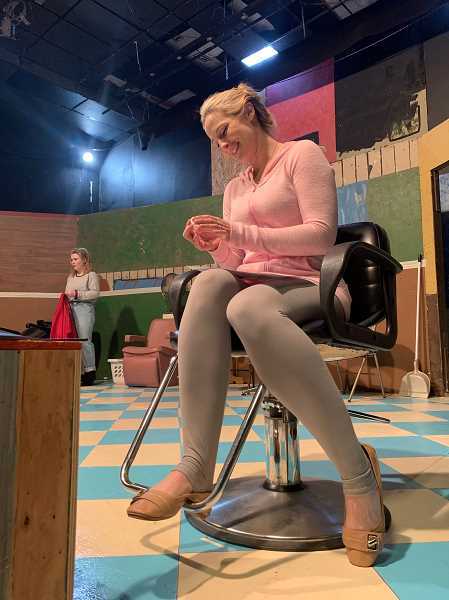 Based on real-life events experienced by playwright Robert Harling, the magic and sentimentality of 1980s is brought to life by an all-female cast in a small-town hair salon. The classic takes to the stage in Forest Grove, as performances kick off Friday, Jan. 18, through Feb. 3 with shows at 7:30 p.m. on Fridays and Saturdays, and 2 p.m. on Sundays. Every scene in "Steel Magnolias" centers on a different Saturday in Louisiana, as the women face ups and downs. "I really needed a group that would come together well," Weed said. "The first few rehearsals were really just us sitting around and joking together. The first one was a potluck at my mom's house. We swapped stories and just got to know one another." "There is a line in the show that stands out to me — 'There is nothing else to do in this town except to be nice to people,'" Weed said. "They see this as their Saturday morning routine." Why "Steel Magnolias" continues to be a crowd-favorite isn't hard to nail down, Weed said. "Everyone needs a group like this in their life," Weed said. "It is super important to human development to have a group of friends you are this close with. People have drawn up their walls — but look, they (the cast) all come in here and hug each other every day." Patti Speight, who plays M'Lynn, a devoted customer at the salon, is seen by the rest of the cast as the mother figure of the group. She said she pictures this play as a celebration of friendship. "Stories that revolve around relationships, in a world full of chaos, and the Me Too movement and the uncertainty of the economy, the one constant thing you can rely on is your foundation, which can be your family, or that one or two people in your life that are there for you. I think this show boils down to connections." Leslie Inmon plays Truvy, the salon's owner, while Emma Heesacker plays Annelle, Truvy's assistant with a mysterious past. Yelena King plays M'Lynn's daughter, the soon-to-be bride Shelby. Robin Reece Michaels plays small-town royalty, Claree, and Anne Kennedy performs as her best friend and "everyone's favorite next-door neighbor," Ouiser. Tickets are $16 for adults and $14 for seniors and youths. Tickets can be purchased at theatreinthegrove.org or at the box office, which is open one hour before each performance, or on Wednesdays from 11 a.m. to 1 p.m.